My very best friend is a Lutheran. Specifically he is a member of the Lutheran Church Missouri Synod (LCMS). For those not familiar, this is a fairly conservative denomination of Lutherans. They have a traditional worship service that would be recognizable to most Catholics; the denomination also has a male only ordination, clearly defined liturgical seasons, and closed communion. Of course there is a lot that Catholicism has that is lacked in the LCMS. This, however, is not what my post today is focusing on. Instead I’d like to focus on a set of books that several of my Lutheran friends own. Its called “The Essential Lutheran Library”. The set is published by Concordia Publishing House, a LCMS publisher. The set of books is quite attractive. All of the books have the same leather binding and matching spines so they sit together on a shelf beautifully. For someone like me who has some OCD tendencies; I long for a similar Catholic version of the set. 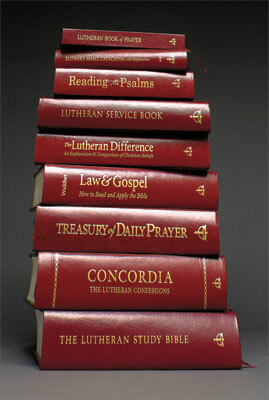 The standard set contains nine books that are considered the foundational texts for any traditional Lutheran household. When looking at advertising materials for the set; it is billed as a collection of books that will give “the shape and definition of the Lutheran faith”. The set includes nine books: A study bible, service book, hymnal, Luther’s confessions and catechism, two additional scriptural studies, a prayer book, and a book of prayer similar to a breviary. This background brings me to my question. If a Catholic publisher were to publish an Essential Catholic Library containing nine books: What books would the set include. Like I said earlier I have OCD tendencies and there is nothing that I’d like better than a matching set of all of the masterpieces of the Catholic Faith. I’ve come up with a list of books, but first I want to go through my process of choosing what books I’d include. The set would have to include a range of books that are considered essential to the formation and understanding of the Catholic faith for laypeople. With this being said I did not include several books that are considered masterpieces of faith, but are really aimed more toward seminarians and priests; this would include books like The Sunday Sermons of the Great Fathers, Summa Theologica, and Catena Aurea. When compiling the list I decided to start by finding equivalent of the books in the Essential Lutheran Library set. It was then that I realized something: The Catholic faith has so much more to offer in writing that any Protestant denomination. 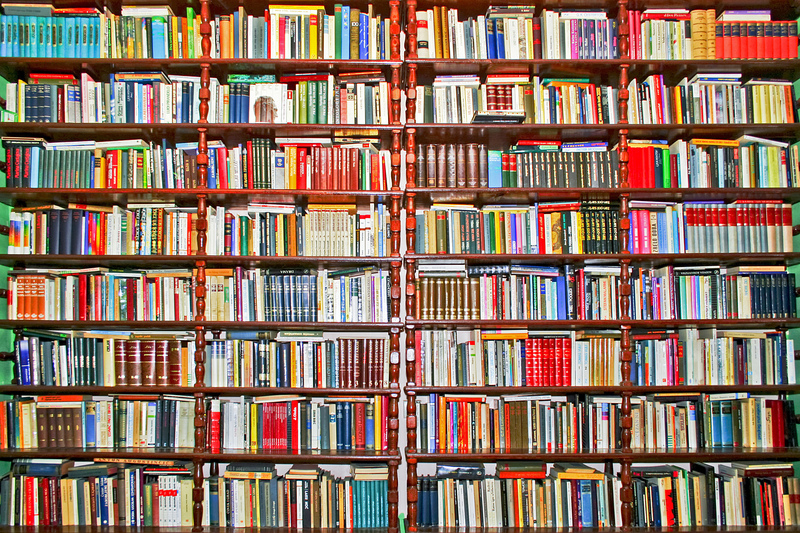 There is no possible way to diffuse the Catholic faith into just nine books. I realized my list had to grow, but coming up with a reasonable number of books that could be made into a manageable set is still possible. Eventually I was able to come up with a list of 18 books that one could, with regular sacraments, could help any lay Catholic form a strong foundation of faith. I’ve broken my list into categories: The first of which is of course scripture, then liturgy, prayer, devotion/meditation, and spiritual classics. The list is for Latin Rite (Roman) Catholics. Tell me what you think. So… This is my list. My Essential Catholic Library. Of course with more than 2,000 years of theological and spiritual classics it is hard to make a one size fits all list for Catholics. If I were a Catholic publisher (or if any are out there listening) this is my dream list. Just imagine how different the Church would be if every Catholic layman were to read and study the books above. Now that I have given you my list, and likewise now that I am tired of writing; I must ask a question. What books are on your list? What would you add or delete? *Please note that I am not affiliated with any publisher. I do have favorites and my suggestions on particular editions listed above only represent my personal tastes.